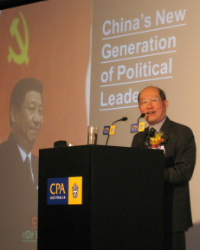 With more than 30 years of experience in writing and researching about China, Willy Wo-Lap LAM is a recognized authority on areas including the Chinese Communist Party, public administration, foreign policy, the People’s Liberation Army, as well as the country’s economic and political reform. Dr Lam has worked in senior editorial positions in international media including Asiaweek newsmagazine, South China Morning Post, and the Asia-Pacific Headquarters of CNN. Since early 2005, Dr Lam has been a Professor of China Studies at Akita International University, Japan (www.aiu.ac.jp). He is also an Adjunct Professor at Chinese University of Hong Kong (History Department & Master of Global Political Economy Program); and a Senior Fellow at Jamestown Foundation (www.jamestown.org), a leading foreign-policy think tank in Washington D.C.
Willy holds degrees from the University of Hong Kong (BA 1974); University of Minnesota (MA 1978); and Wuhan University (PhD in political economy, 2002). China after Deng Xiaoping (John Wiley & Sons, Singapore & New York, 1995). Dr Lam’s books have been reviewed by publications including Time, The Economist, Foreign Affairs, Far Eastern Economic Review, China Quarterly, China Journal, and London Review of Books. Dr Lam speaks English, Chinese, French and Japanese.